The way a person smells says a lot about who they are. Because of this, people may splurge on their favourite scents, from flirty to floral to musky and sweet. 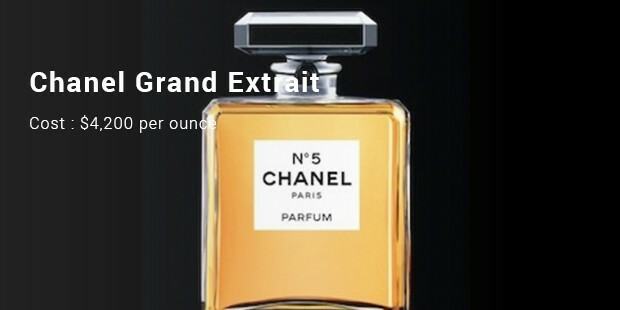 Many designer brands around the world have perfumes on their roster of products, putting careful detail and care into the makings of these scents before slapping it with a steep price tag. Then, there was the fictional Black Panther cologne featured in the movie, Anchorman, which most certainly did not achieve its purpose of attracting women, despite the high cost. Take a look below at some of the world’s most signature and expensive scents to find out if they really are that reeking with high quality. This million dollar perfume bottle is bedazzled with 2,909 precious stones from around the world, including a 1.65 carat Turquise Paraiba Tourmaline, 7.18 carat Oval Cabochon Sapphire from Sri Lanka, among others. 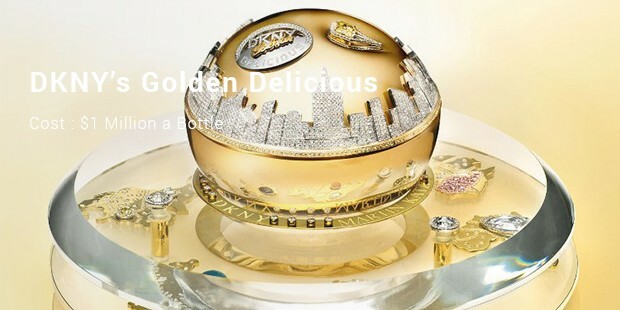 The bottle took over 1,500 hours to make the apple and was locked in the DKNY safe, with proceeds being donated to the global charity, Action Against Hunger. 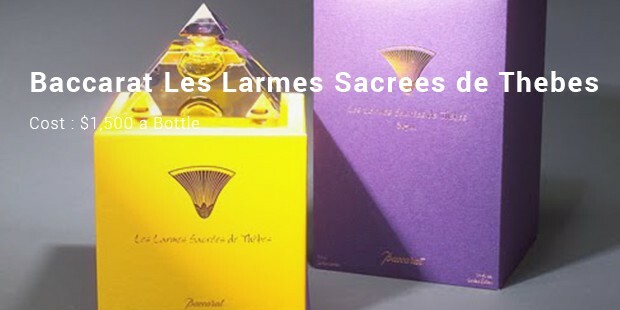 As the current holder of the Guinness Book of World Record’s title for most expensive perfume, one would imagine its rarity. 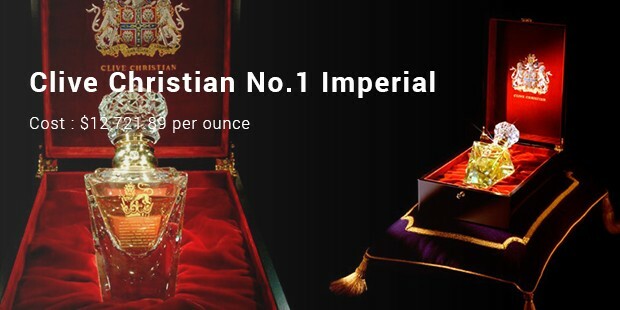 The fragrance is essentially the brand’s Clive Christian No. 1 – the only difference being that is comes in an ultra-fancy bottle. 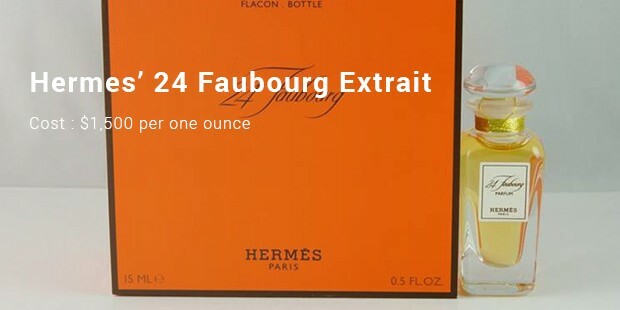 It sells at $12,721.89 per ounce. Possibly the only one’s able to afford it are the celebrities themselves who grace their ads. 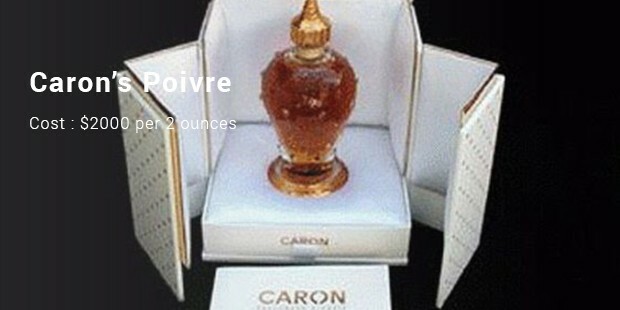 While this perfume exudes sophistication, it comes at a steep price for $4,200 per ounce. 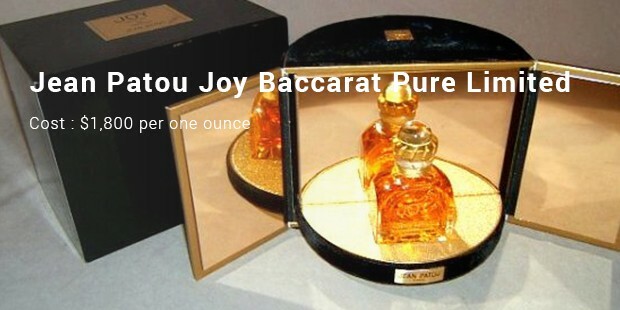 The brand, which was launched in 1981, features the scent, Eau d’Hadrien, which can be used by both men and women. 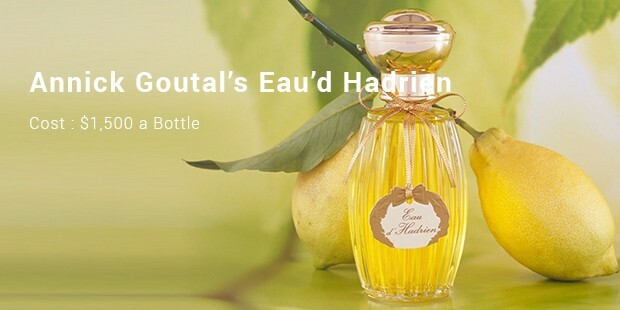 It features citrus, lemon, grapefruit, mandarin orange, Sicilian lemon and extracts from ylang ylang, a plant from Madagascar. A bottle sells for $1,500. Scent is a very powerful thing, one that attracts us to others and holds memories longer in our brains. Because of this, it may be necessary to splurge quite a bit when it comes to our very own signature scent. Maybe not as much as the perfumes identified above, but enough that we feel comfortable and confident in what we’re sending out to the world.